Durable chrome plated steel blends attractively into any d©cor. Available in 5 lengths. 12 in., 16 in., 18 in., 24 in., 32 in. 250 lb maximum weight capacity. 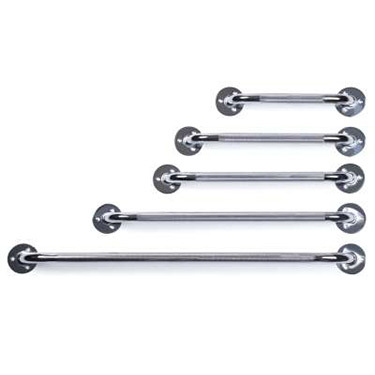 Grab bars are 1" in diameter. Overall Length: 12", 16", 18", 24", 32"
Option: 12", 16", 18", 24", 32"